Pieps is my new avalanche rescue equipment partner. 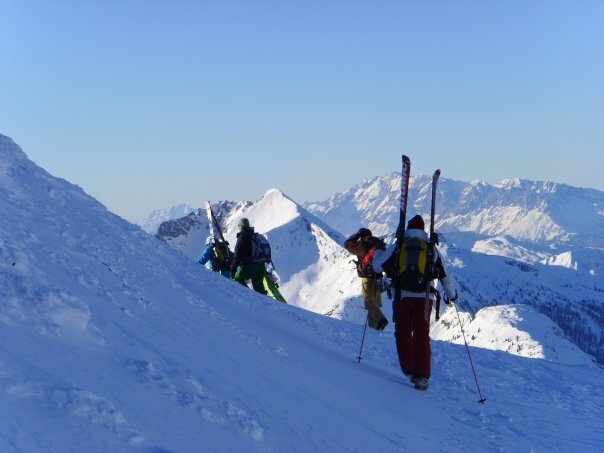 The market leader in avalanche beacons invited its riders to a day of safety training and skiing in Obertauern. We spent the morning comparing the ranges of the various beacons on the market, both in ideal and unfavorable positions. The Pieps DSP was the only beacon which had the same outstanding range all around in all directions, regardless of how the searcher holds the beacon. It’s probably the most fool proof product on the market. The rest of the day was spend skiing some Obertauern freeride runs – which were impressive – and discussing some new guiding techniques for groups. All in all a great day of learning and freshening up important and possibly life saving skills. ← Women’s Freeride & Yoga Camp a Great Success!